© Provided by AFPRelaxNews Correcting a vitamin D deficiency may reduce the risk of MS according to new research. New large-scale European research has found that vitamin D levels in the blood could predict a person's future risk of developing MS. 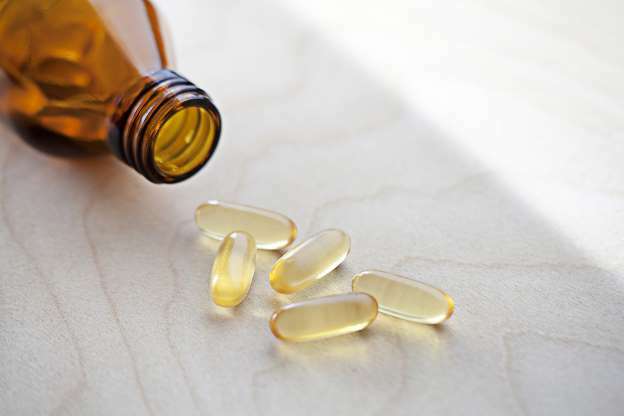 Although previous studies have already suggested a link between vitamin D and the risk of MS, study author Kassandra Munger, ScD, of the Harvard T.H. Chan School of Public Health in Boston explained that these studies have been small in size. The new research however used blood sample from more than 800,000 Finnish women to see if correcting a vitamin D deficiency in young and middle-age could reduce the future risk of MS.
A deficient level of vitamin D in the blood was defined as fewer than 30 nanomoles per liter (nmol/L). Insufficient levels were 30 to 49 nmol/L and adequate levels were 50 nmol/L or higher. The researchers identified 1,092 women who were diagnosed with MS an average of nine years after giving the blood samples. These women were then compared to 2,123 women who did not develop MS.
From the women who developed MS, 58 percent had deficient levels of vitamin D, compared to 52 percent of the women who did not develop the disease. The results also showed that women who had deficient levels of vitamin D had a 43 percent higher risk of developing MS than women who had adequate levels, and a 27 percent higher risk than women with insufficient levels. Correcting this deficiency however appeared to reduce the risk of MS, with the team findings that with every 50 nmol/L increase in vitamin D levels in the blood, the risk of developing MS later in life decreased by 39 percent. The team noted that the study had some limitations, including using an all-female and mainly white sample. The findings may there for not be applicable to men or other racial groups. In addition, even though blood samples were taken an average of nine years before MS diagnosis, it is still possible that some women may have already had MS when sample were taken, but were not yet showing symptoms. Munger noted that, "More research is needed on the optimal dose of vitamin D for reducing risk of MS.